In December 2016, I had my first introduction to planning a novel. Jennifer Blanchard reviewed Story Engineering by Larry Brooks over the course of four weeks. Then I read Story Fix by the same author, and Scene and Structure by Jack Bickham. When I wrote my first book, Coins of Gold, I felt driven to write a story about my Mom and the life she lived. It was a celebration of her life, a woman who knew how to enjoy the simple things of life. I knew nothing about how a story should be structured or that there was even such a thing as story structure. “Show don’t tell” were just words with no meaning. Character arc I may have heard of, but I certainly did not know how to apply it in my writing. I always admired Daniel Boone when I was growing up. I loved to watch the stories of his adventures as seen on television. For my second book, I decided to write a fictional story about Daniel Boone and I called it Arrows, Indians and Love. Each day I waited for inspiration, did research of course, and slowly the story came about. One of my fans suggested I write about a Canadian hero. I chose Laura Secord as my next character and built a story around my family in central Ontario intertwined with the Secord family and the service Laura did for Canada during the War of 1812. I compiled a Cromwell family history tracing my ancestors back to the 1100s and wrote some books of interest to me (Olympics, Wonders of the World, Wars, Inventions, etc.). My next inspiration was a novel about Joe and Kate starting with a dream of going to Montana. It became a series that I wrote as inspiration arrived. I didn’t understand about stakes in a story and why they are needed. I didn’t understand about inner demons and antagonists. I didn’t understand the need for a resolution to a problem. I just tried to have a good ending to the life story. I realized I needed better covers so I approached Andrew Rudd www.detailfordesign.com and he produced five lovely covers for my Montana Series. What was the plot of my books? Was my main character wanting something and going on a journey to achieve it? I didn’t have a clue about this aspect of a story either. What opposition was there in my stories? There were some inner struggles, but exterior struggles were really absent. The idea that people wanted to be transported into the lives of the characters was a nice thought, but I didn’t know about the need to overcome opposition, defeat it and be the victor. These ideas were completely foreign to me. Then I had the opportunity to join a group of authors with Jennifer Blanchard jennifer@jenniferblanchard.net to take the Write Your Damn Novel (WYDN) course. Jennifer walked us through the stages of planning our stories from the premise and concept, through the journey that needs to occur to make a story work. I learned about a hook – a medallion is my hook for my next novel. I learned about First and Second Plot Points, First and Second Pinch Points and a Midpoint. They were all new terms for me to get my head around. I started with a couple of thoughts for a novel. I didn’t have much of a premise or concept, but I pushed ahead to stay on track with the course, learning to apply some of the things as I went along. I managed to plan about three quarters of the book, knowing how it would turn out, before I started writing. There are those who think that planning a novel takes away the creativity. Nothing could be further from the truth. Just because I had the title for the scenes and knew sort of how the story was going to progress, inspiration had its part along the way and many twists and turns came in as the words mounted up. There were daily blog posts, videos, and additional courses and books along the way to help me get my novel finished. Once I had the novel finished as much as I could do, then there was the scary part of actually sending my manuscript to a content editor. Jennifer Blanchard agreed to perform this service for me. A little over a month later, I had several pages of written notes, and an hour long conversation on where the novel was not working and lots of suggestions of how to fix it. I had a well-developed main character, I had a journey he was on, and I had some interesting scenes. I managed to break many of the biggest story mistakes writers make but this was all a learning process. I had random things in the story which did not connect to the main story. Jennifer was very encouraging on what was working and gave me lots of suggestions of how to make it work better. I went back to the drawing board, so to speak. I was determined to make changes and create an even better story for my readers to enjoy. I worked on it daily over the next couple of months until I was satisfied that I had done everything I could to improve the story structure. It went back to my content editor and by year’s end I had more ideas of what to fix. I did what I could and then put the book aside to work on book 2 of the series. Once I had it as complete as I could get it at that time, I set it aside and once more switched back to Rite of Passage. I worked through the “course” on Description and Setting by Robert Rozelle and have learned a lot about adding description and setting, geography and time, and using the senses in my writing. I am now on my final read through of the novel. Then I have two months set aside to work on Rite of Marriage. My goal is to publish both books by June 30, 2019. Being a multi-passionate person, my photography hobby expanded into another whole line of work. I love the old architecture in towns and started taking pictures. The first town I photographed was London, Ontario. When I look back at the first book I created, I chuckle to myself. I had the basic concepts, but I have grown into the project as the years have gone by. I do research ahead of time so that I have a better idea of where to start a project. Most towns I can complete in a day, but usually that will be a long day. I never seem to have enough time to finish as I would like to. There are always more pictures I could take. I took several photography courses to help me in setting up pictures for the best effect. Then comes the time I get to play around with the pictures and put them into books. I say “play” because it doesn’t seem like work. I love to compile the histories in photos, Saving Our History One Photo at a Time. When we traveled to Winnipeg, Manitoba in 2016 to visit my brother James and his wife Mary Ann, I thought it would be “nice” to photograph some of the buildings in the city. James knows the city very well, and he took us on our first photograph session. Wow! What a city to photograph! Day after day, James took us to another area with lovely architecture. We came home in the late afternoon every day with three or four hundred pictures on the camera. After returning home, I had a huge project to put together. There were many articles on the architecture of Winnipeg available for me to add to the knowledge included in my pictorial history of the city where I was born. It took nine books to include all of the choice pictures I had taken. There are always pictures which get discarded. That’s the plus of digital photography – I can take as many pictures as I like, from as many angles as I like, and then choose the best ones. I have my next photo projects planned and research done of the cities and towns. We get to see a whole different picture of the places we visit. We often don’t get into the museums and places of interest, although sometimes we do. Depending on the town, I may get a lot of walking in; in other towns, buildings are more scattered and Harry drives me from place to place. What I love to do is to be left on my own for an hour or two and explore and see what I find. I never limit myself to what I am told are the heritage buildings – I want to record more than those. Some architecture is unique, some is rather plain. I have learned about different architectural styles as I have progressed through the years. I have also learned terms that are used. I have been connected to the 100 Day Challenge since 2007 and I am encouraged to plan. I have accomplished much more in the last ten years that I would have if I had not planned what I was going to do and given myself deadlines for accomplishing the goals I set. Sometimes it takes me longer than I originally planned to complete items, but then I give myself a new time frame to work towards. And my journey carries on. 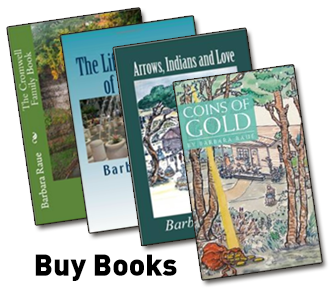 To see some of the things I have accomplished, check out my website at http://barbararaue.ca. What are your plans for this week, month, and the year 2019? If you plan, set yourself deadlines, and put in the work, you will be amazed what you can accomplish.